His earliest ambition was to be a printer and he pursued this occupation until developing Berger’s Disease in the 1970s, which led to the amputation of both his legs. Ian was sent to the Queen Elizabeth Rehabilitation College, but was later expelled when he produced a newsletter criticising practices at the institution. In 1983, the Greater Manchester Coalition of Disabled People was founded and Ian was appointed to edit their journal “Coalition”. The journal rapidly became required reading for disabled activists across the country. Alongside his work with the Greater Manchester Coalition, Ian’s musical career allowed him to use humour to expose prejudice towards disabled people. He was considered to be one of the foremost disabled singer-songwriters of the time. Some of Ian’s most well-known and influential songs are “Tragic but Brave”, “Chip on your shoulder”, “Talkin’ Disabled Anarchist Blues” and “Rollin’ Thunder”, all of which became anthems for the Disabled People’s Movement. During the 1990’s, Ian was a core member of the Tragic but Brave show with Johnny Crescendo (aka Alan Holdsworth) and Wanda Barbara (aka Barbara Lisicki). 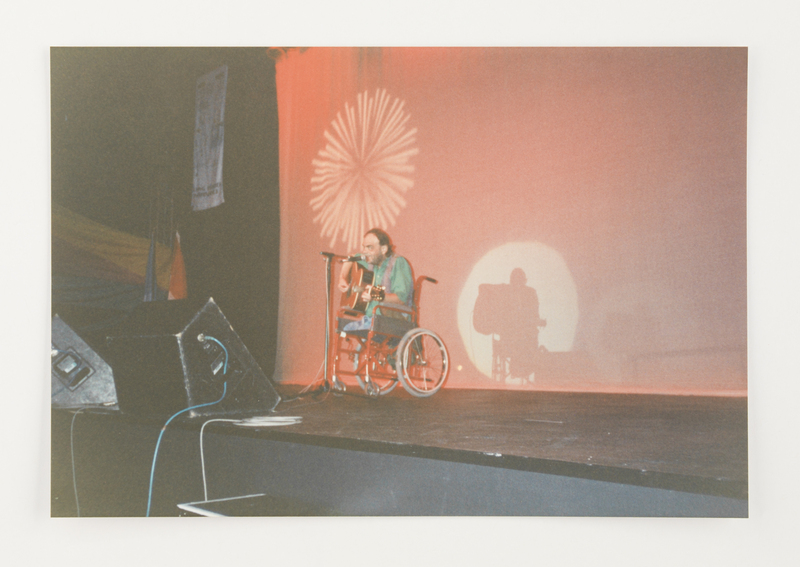 They were well-established within the disability arts scene, and toured around Europe, Canada, the USA and Britain, as well as performing in mainstream gigs, such as Glastonbury Festival, always spreading the message of their fight for rights and pride in their disabled identity. With their wheelchairs and sticks and their guides. And they celebrate difference with pride.